What a Crock Meals to Go™, a rapid growth startup, is opening a state of the art food production facility. 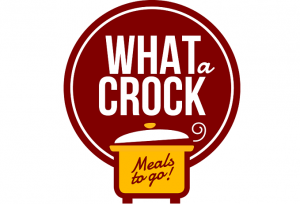 What a Crock Meals to Go™1, a meal kit delivery company is opening a state of the art food production facility in mid-November in Collingdale, PA. The 10,000 square foot facility is opening after just four years of the company’s launch. What a Crock is a rapid growth startup that was self-financed by a young couple out of Delaware County, Pennsylvania. Since opening their door in late September 2014, the company has seen extreme growth both in the retail sector and online sales. The company has grown from a 1 shop mom and pop startup to a 6 location chain with a strong e-commerce presence that accounts for about 70% of the companies revenue. “We are so thankful for the success our company has had and overwhelmed with the support we have received,” says Justin West, company founder. With such rapid growth, the company’s largest obstacle has been space. Up until now, What a Crock has been operating out of a 2,000 square foot building that is bursting at the seams. With such high demand in orders and limited space, the company was forced to slow down their expansion until their new facility became operational. The company’s new facility is roughly 10,000 square feet with ample storage and production space. The added space is allowing the company to go from a small player in the foodservice industry to a full-on force to be reckoned with to the larger better-known companies. What a Crock plans to carve out its share of the pie by marketing its strengths over the larger companies. The largest differentiator is the fact that they are able to offer the “home cooked experience2” with none of the work. Traditional food service companies ship their customers all the ingredients they need to make a gourmet home-cooked meal, but the customer still has to prep, trim, cook, and serve the dish. When you order What a Crock, the customer simply places already prepared ingredients into the slow cooker and allows the crockpot to do the rest of the work. It is a very simple, hands-off process that can save the customer time and stress of chopping, measuring, and cooking the meal themselves. This is incredibly beneficial for busy families with working parents that would rather save time cooking and use it to spend time with their loved ones. This may be your first time hearing about What a Crock, but by the look of things, it will certainly not be your last. What a Crock began with a simple idea: produce nutritious slow cooker meals that help families save time and money. We have retail locations in Brookhaven, Garnet Valley, Ridley, Chestnut Hill and Quakertown. Make planning dinner easy without bundles. Choose from seafood, pork, chicken, sandwiches, soups, vegetables and more! Call us today at (484) 474-0451 or visit our website to place an order. Don’t forget we have gift cards! What is the Best Meal Kit Delivery Service for Busy Families?